It takes place the first Sunday of each month: a regular event for thousands of people from across the region and beyond. The Fair is an opportunity not to be missed: there you can find everything you need and more. You can find farm machinery, clothing, work tools, specialties, including local products such as the famous Sabina olive oil, honey, and “porchetta” (roast pork). There is an area entirely dedicated to the sale of cattle, donkeys, ostriches and roosters of different breeds, rabbits and chicks. Here we found the old iron tools for the fireplaces, the small round terracotta jars and most of the copper pots that you can see in our house. 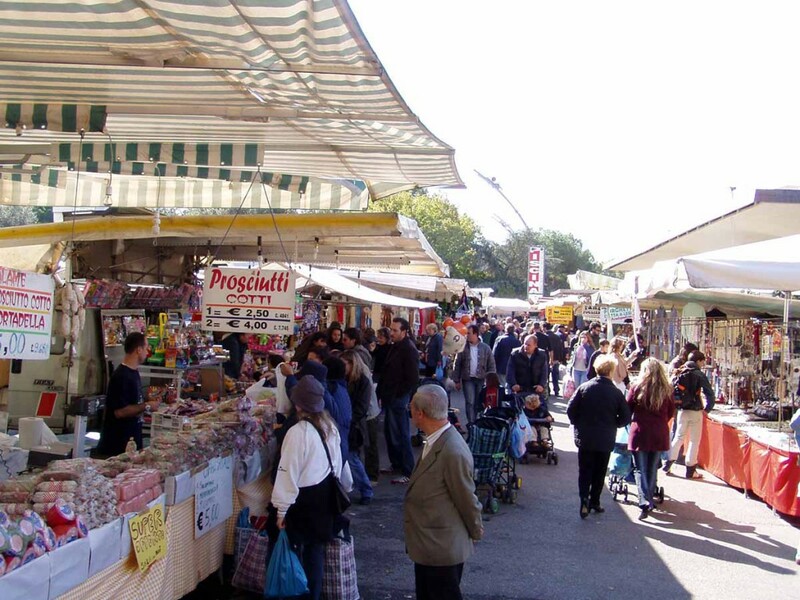 The market is held in the area of Campo Boario, between Osteria Nuova and Frasso Sabino. More than 300 exhibitors come here from all over Italy, and with them you can (and must!) bargain, and chat, to obtain the piece that you like at the best price. The Fair is therefore more than a market, it’s a real “square”, a large space where, in addition to banquets for sale, you can find many suggestions of activities: workshops for children in collaboration with the Parco dei Monti Lucretili, exhibitions of the product of the month, wine tastings, thematic conferences, music and proposals for discovering the beauty of the Province of Rieti.